Description - The ProForm PRO 9000 treadmill is ProForm’s top of the line. One of the things that sets it apart is it's powerful and quiet 4.25 CHP commercial motor that can handle a lot of weight and stress. An iFit module is included for use with the Android browser that enables use Google Maps. But you also get two high definition video workouts for super motivation. With the wireless heart rate monitor, you can see your progress without holding onto the treadmill. The belt auto-adjusts to a decline, as well as an incline, according to the workouts or your commands, for working your muscles in different ways. Watch the video below and see what we mean. Dimensions (L x W x H) 77" x 39" x 70"
Big 10” full color touch screen. 38 built-in workouts include calories burn and iFit. iFit module included (subscription sold separately). Wireless heart rate monitor included. Both contact heart rate monitor and wireless monitor. 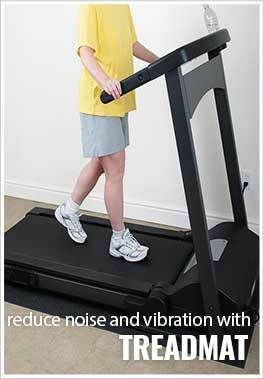 Recommended For - The ProForm Pro 9000 is a high quality fold-up treadmill with a huge motor and running deck. It is built to withstand almost any workout and has a 300lb user capacity with 38 workouts. This means that is will hold up to your workout and offer a new one tomorrow. 4.2 CHP Mach Z commercial pro motor. 10" full-color touchscreen with browser powered by Android. Proform 9000 treadmill has 38 workout apps. 22" x 60" two-ply commercial tread belt. Have you ever wanted to work out anywhere in the world? Well now you can with with this iFit Coach Ready treadmill. This treadmill inclines and declines according the trail selected whether it be a trail in Ecuador or Mongolia, you will feel like you are right there. This feature uses global Google Maps routes. Every so often a feature comes along that is a game changer and for treadmills that is incline training. Now you can realistically condition your body for any hill or valley easily. Go from 0-15% Incline with ProForms 9000 treadmill or 0-3% Decline. The incline and decline is motorized and will instantly adjust. One of the most important features of a treadmill is the motor. Just like in a car, this is the one part that makes everything else possible. On ProForms 9000 treadmill, you will find of the best motors on the market. Thsi 4.25 CHP Mach Z Commercial Plus Motor runs smoothly and cooler than other motors even during the toughest of workouts. This motor is quiet and is backed by a lifetime warranty. Whether you are Manute Bol or Michelle Kwan, you will know for certain that you will have enough to run, walk or job without feeling confined. The 60” long deck gives you enough room to get your legs going and the 22” wide deck will allow for proper movement of your arms and elbows. Each maintenance free deck is tested over a million cycles at double the user weight to ensure your deck is top quality. This machine is WAY better than any of the ones I have used at any of the gyms I have had memberships at. The built in fan is amazing so I don't become too sweaty of a mess (although it doesn't really matter at home). Super comfortable and I am loving all the bells and whistles. Learning something new everyday with my new workout toy! It was time to get rid of the old treadmill I've had for too many years. I wanted to have one that folds up for easy storage in my home office so it's not an eyesore while I work. Plus the digital maps thing helps to make the workout more fun. I'm not big on writing reviews, but I just had to write a short and sweet one for this product. It's great! It folds up and is very easy to use. I have been in the market for a treadmill for a while but had not really found something that really fit all of my needs. I don't have a lot of space, so I needed on that folded up. Also, I like features, and this treadmill has features. I really like the iFit option. I pay for it, but it's worth it. They have tons of courses you can run, and it makes every workout fun and new! I bought from Rubberflooringinc because they had the best pricing and also had a really knowledgeable staff.